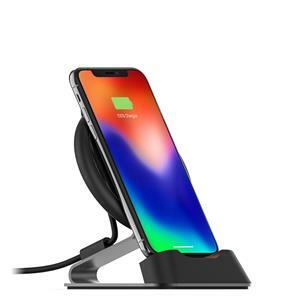 ORANGE COUNTY, Calif., Aug. 30, 2018 (GLOBE NEWSWIRE) -- mophie®, a ZAGG Inc (NASDAQ:ZAGG) company and a leading brand in wireless charging1, today unveiled four additions to the charge stream family of wireless charging products, including the vent mount, desk stand, powerstation wireless, and powerstation wireless XL. The additions complement an already robust charge stream lineup that includes the pad+, pad mini, and travel kit. The charge stream family of products ensures consumers always have access to easy, fast wireless charging anywhere. 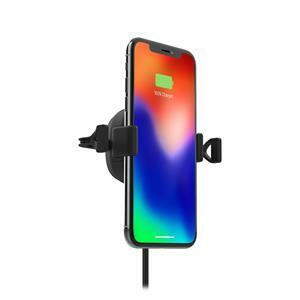 The mophie vent mount allows users to go hands free and enjoy high-speed wireless charging in most vehicles with a four-prong mount that easily slips over the air vent. The mophie desk stand wirelessly delivers up to 10W of power on contact, is optimized for both Apple (7.5W) and Samsung (9W) Fast Charge, and is designed to hold virtually any Qi-enabled smartphone in both portrait and landscape positions for optimal viewing. 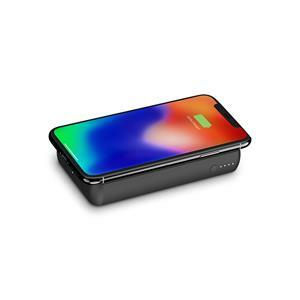 The mophie powerstation wireless is designed to work as a traditional wireless charging pad when you’re near a wall outlet and deliver portable wireless charging of Qi-enabled devices up to 5W speeds when you’re on the go.